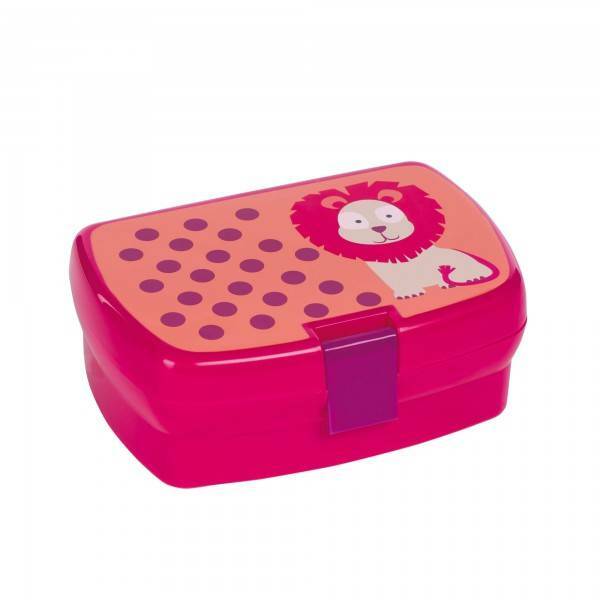 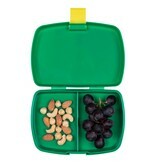 This bento-style box closes easily and tightly from the outside and contains a removable tray at the top. 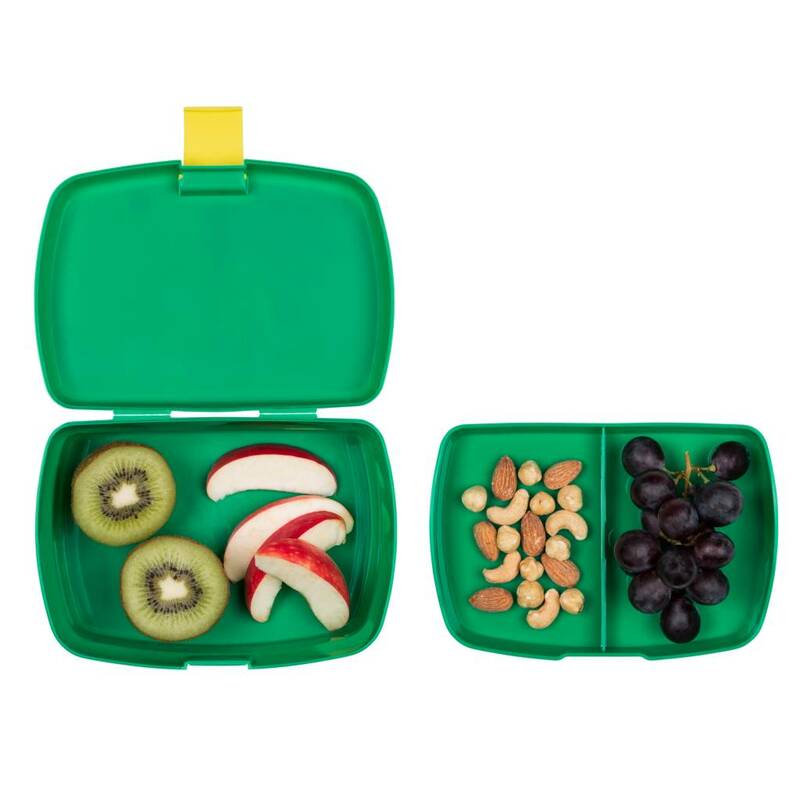 This tray is divided into two sections so different foods like apple slices and raspberries cannot get jumbled up and everything stays fresh and appetizing. 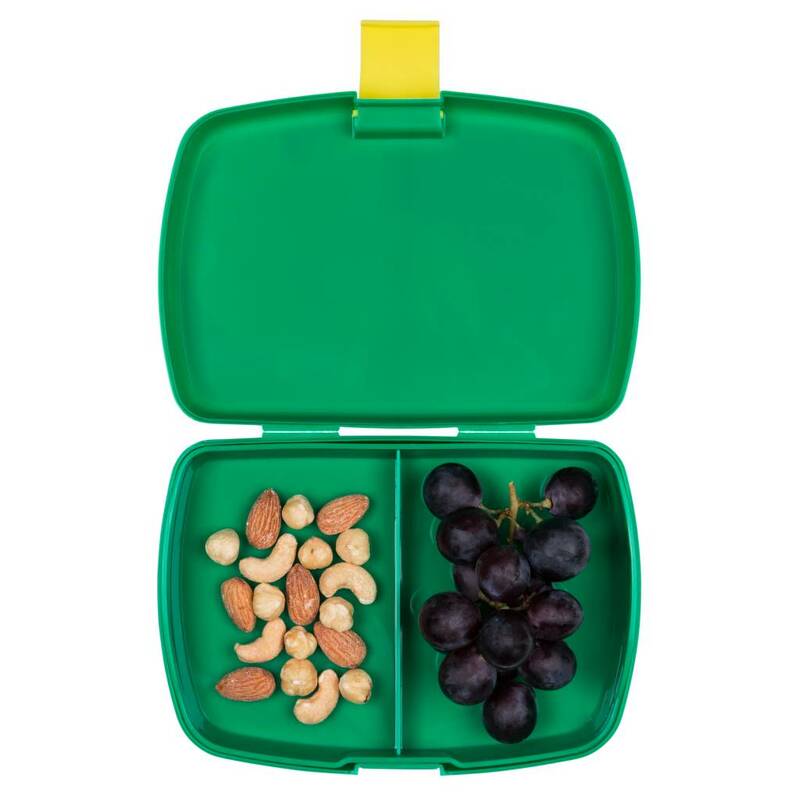 The compartment beneath the tray has no dividers and provides plenty of room for a sandwich or roll. 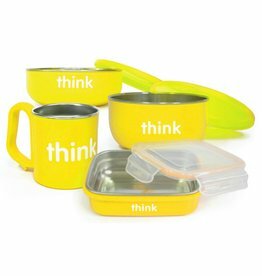 Free of PVC, nickel, azo dyes, cadmium and phthalates. 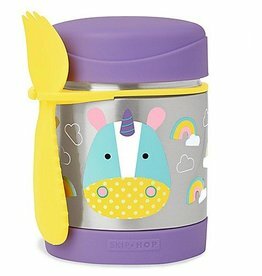 This colorful stainless steel container keeps kid-sized portions warm or cold and comes with a built-in spork! The Complete BPA Free set contains: Bento box, soup bowl, baby bowl, kids cup. 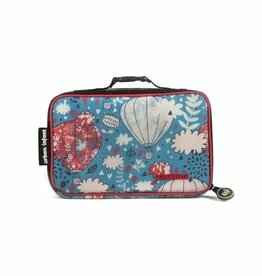 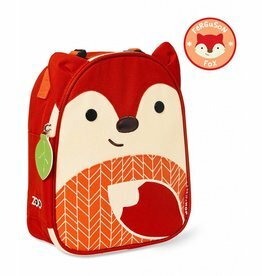 Moms love this full-size toddler lunch bag - perfect for kids attending daycare, preschool, or kindergarten.